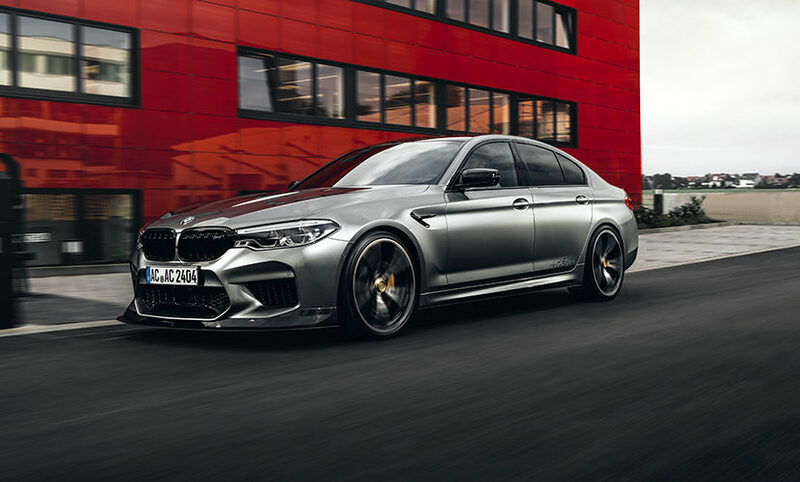 German tuning powerhouse AC Schnitzer revealed a few months ago a couple of upgrades for the BMW M5. The F90 model got some attention from the tuner and it turned out looking absolutely stunning. For the moment, the options are a bit limited but today they are showing us the M5 Competition model wearing their kit. The Competition version is bound to attract even more curious looks once it gets put through the AC Schnitzer treatment. The car in the footage below is wearing AC Schnitzer wheels as well as a different rear silencer, part of their offerings for the M5 range. In this case it’s fitted with flap control and carbon sport tail pipes measuring 105 mm in diameter. They do sound great too, as far as we can tell from the footage. There’s also a couple of carbon bits at play here. The front bumper received a new splitter which is absolutely massive in size while the whole thing was lowered thanks to AC Schnitzer lowering springs. Other subtle add-ons include the side skirts, boot spoiler and rear roof spoiler, The wheels are part of the new range over at AC Schnitzer. These are AC3 Evo models, measuring 21″ front and back. They can be had with a central lock design which is rather striking. As for engine upgrades, there’s no mention of one for the M5 Competition. The standard model does have a plug-and-play offering from AC Schnitzer, which takes the engine from 600 HP and 750 Nm of torque to 700 HP and 850 Nm. However, numbers for the Competition version could be different once the kit is launched.